When it comes to makeup, I have a special connection to foundations. I love a good foundation. I admit I have a thing for more expensive foundations, but there are also affordable options. Plenty of them. Just like the one I’m about to tell you. For my newest (okay, second newest!) foundation find I can just thank my sister Janika. Her skin type is pretty similar to mine and out of all four sisters, we’re always the ones needing to powder our faces. So when she finds a good product – or I do – it’s a pretty safe bet to just use whatever the other one is using. When Janika bought this foundation, I immediately tried it as well – and just had to buy my own bottle. NYX Total Control Drop Foundation is the perfect lightweight foundation, that can be applied just with fingers or with a beautyblender. One drop goes a long way and I love how I can build up this foundation. From light coverage to full coverage – this foundation surprisingly does it all! This foundation is as thin as they come. And that’s a nice feature, because when I think of matte or full coverage foundations, they are usually more on the thick side. But not this one! Because the foundation is so lightweight, it can be layered and once it dries it gives a soft matte finish. And when I say soft matte, I mean soft matte. Like this velvety soft. Not matte-matte, in a totally matte dry way. That said, I don’t need to use powder with this foundation. Surprisingly I’ve found that this can be applied both with fingers or with the beautyblender. I prefer the beautyblender though. I recommend either one of these techniques, because once you apply the foundation on your face and blend it, it sets pretty quickly. You need to be somewhat quick applying it. It’s nothing too crazy, but just something to keep in mind. It’s still easy to blend, in my opinion. Before & After NYX Total Control Drop Foundation in the shade Buff. So, how does this foundation last? On my skin, it lasts pretty well. I have nothing bad to say about that. After a long day I might need to soak off some excess oil with powdered papers, but that’s normal. I don’t expect my foundations to keep my face all matte and perfect all day long. My face is not a doll’s face – it’s a living organ, and I expect it to, you know, live its life even under the foundation. Okay, I’m getting slightly off track here. I just don’t understand why we want 24 hours of lasting power from our makeup products? Okay, getting even more off track now. To put it short: this foundation lasts well on my skin, through a normal day. My skin type is combination. Here I’m wearing the foundation & I sprayed my face with Beautyblender’s Re-Dew spray, to make it extra glowy. Finally, one more thing about the packaging. I like it! I think it’s fun and convenient. Sometimes pipettes can be messy and tricky, but this has worked without problems for me. I think so far, this is my favorite drugstore foundation. There are 30 shades available, which is pretty good. My shade is Buff, which is considered neutral. My skin tone is neutral, but still leaning more to yellow though. Have you tried this foundation or are you gonna? My inner photographer is back! Thanks to the light and sun. Ah, spring. I’m gonna talk about spring even though it was snowing just a second ago and the ground is white. I already packed all my warm mittens and beanies away and I have pink roses on the table. Winter is over. Even though it’s just coming… GOT fans, anyone? KICKS recently came out with some brand new stuff and I was so excited to try them. I’ve found some great products and brushes from them and I feel like they just keep getting better. It’s also a nice reminder, that makeup doesn’t have to be super expensive. And it can still look like it. I think the most exciting products from this launch are the liquid eyeshadows* (which are so pigmented!) 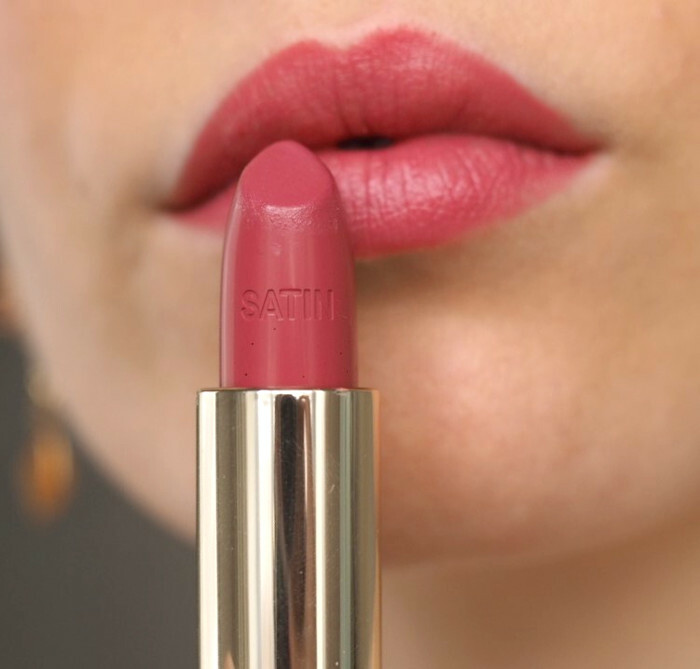 and satin lipsticks*. I’m not a fan of matte lipstick and the consistency in these lipsticks is just to my liking. Not matte, not shiny – something in between. 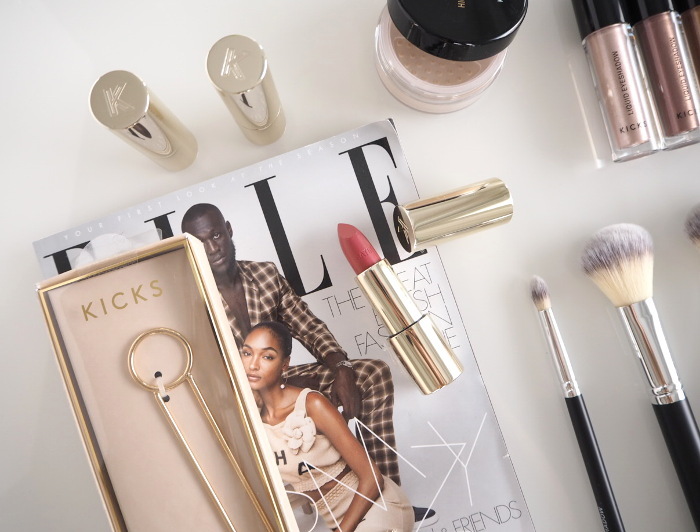 I also loved the new look of the makeup brushes (and their quality) and a gold highlighter. Nothing screams summer like a touch of gold on your cheeks. 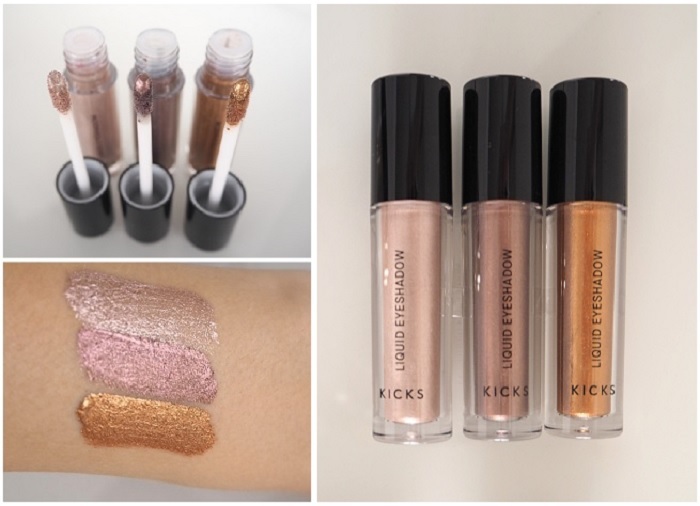 Swatches of KICKS Liquid Eyeshadows in the shades Mesmerized, Hypnotized & Dazzled. The liquid eyeshadows are very metallic and pigmented. They are an easy way to bring a little something to your eye look. The color is intense, but what I also like about these is that you can use them with your fingers and make them subtle. Below I have photos to show you the two ways to wear them. These are water-based, they dry down quite quickly, they last well and they feel comfortable. Pro tip! If they dry down, you can wet your finger or brush and they can be blended again. Wearing Mesmerized & Hypnotized on my lids. 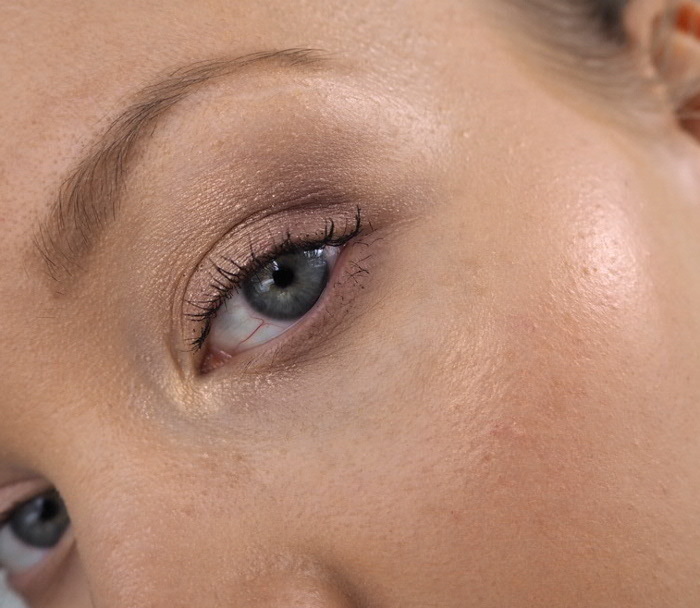 I’m also wearing the gold highlighter in my inner corner, a touch on the lid and on my cheekbones. I showed you how to do this on my Instagram stories, so go check it out! Super easy to recreate, I promise! Dazzled liquid eyeshadow on the lids cut-crease style. As you can see – very pigmented and metallic! 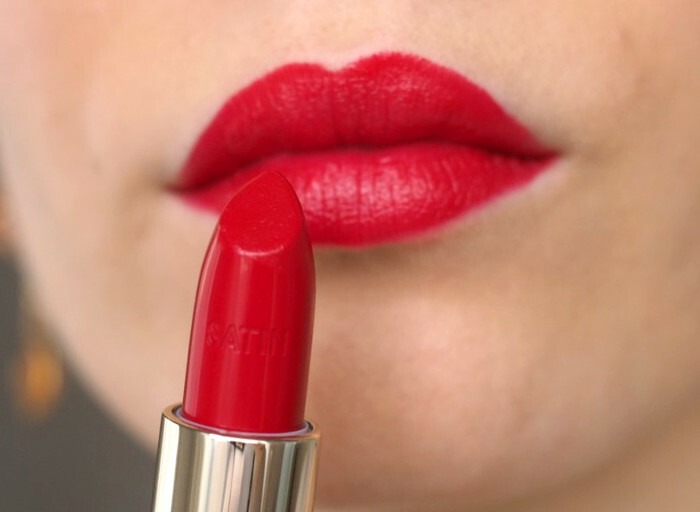 Everything is done right in these lipsticks. 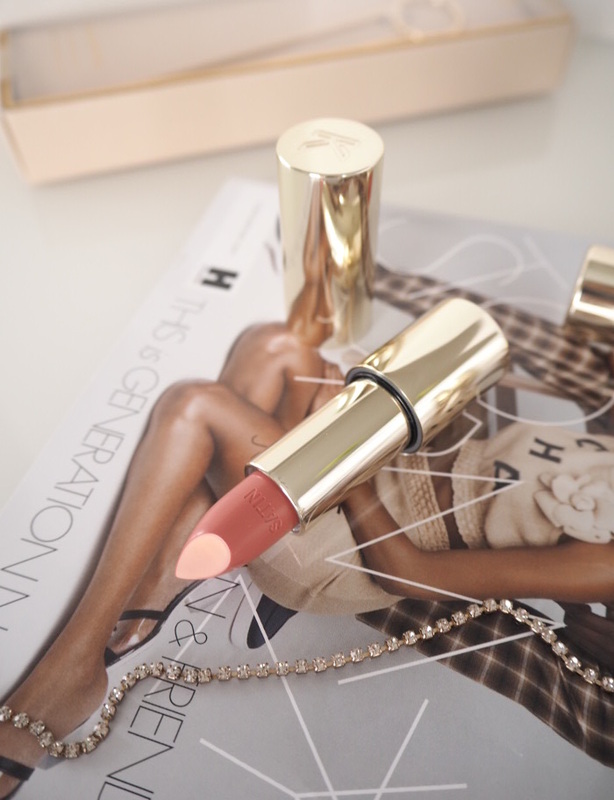 The packaging is simple and beautiful with an attention to detail – there is a magnetic closure, which to me, adds that bit of luxury to the lipstick. 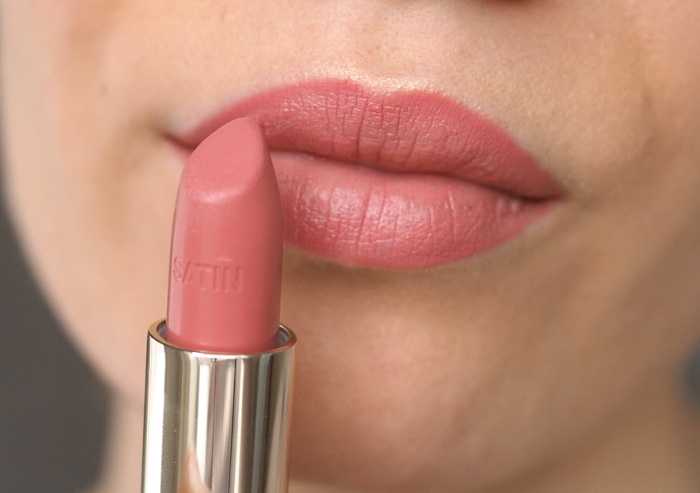 The consistency in the lipsticks is creamy and comfortable. On my lips these last well and I only need to fix it a little after eating. Definitely recommend the lipsticks! Wearing KICKS highlighter, Fake Freckles Pen and Just Kissed on the lips. The gold loose highlighter is quite the basic loose highlighter. It’s very fine, so it can be applied quite subtly on the skin. Then again, you can layer it to get a super intense color. The jar is quite big so it will last a long time! The highlighter can also be used as an eyeshadow or you can mix a little to your body lotion to get a nice glow. The first brush that caught my attention was the Smokey eyeshadow brush*. It reminded me so much of my Zoeva 221 brush, which I use almost daily. It’s soft yet sturdy, so it’s perfect for my crease. I also like the face brushes. They are soft and make makeup application easy. I also love how the brushes look! KICKS makeup brushes* prices 5-15€, these are now on sale too! Wearing Dazzled on my lid and Cream Please on my lips (with a gloss on top). For this makeup look I also used my Fake Freckles* pen to create a sun kissed look to my face. That product is one of the most genious products I’ve tried – as I told you, I’ve found some awesome products from the brand. You can also see in the photos a gold hair pin*, which is pretty handy for when you want your hair up quickly.